We’re Movers with Integrity! 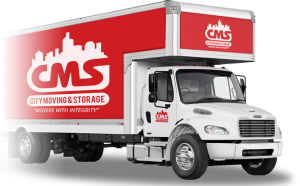 City Moving & Storage is a locally owned and operated Twin Cities moving and storage company. Taking great pride in the quality services we provide, City Moving & Storage has helped individuals within the Twin Cities and beyond safely move belongings from one point to another. We specialize in commercial and local moving, as well as FF&E installations. If you need to store belongings for a specific amount of time, we can do that for you too. One of the qualities of City Moving & Storage is the experience that is provided. Company founder, Bob Fearing, has over 25 years of experience working with major van lines for the purpose of corporate relocation. When he founded City Moving & Storage in 2010, he brought the same high standards with him, providing customers with both high quality service and professionalism. Nonetheless, the primary goal is to provide a service that removes the guesswork from the process for the purpose of removing as much stress as possible from the move. We understand that moving can be a difficult and stressful transition, so we work hard to make the experience a pleasant one for you so that you can be completely satisfied at the end of the move. To foster a successful conclusion to the move, we provide the highest possible level of customer service. One way we do this is by employing quality employees who are willing to go that extra mile during each individual move. Our employees have to pass drug screens and background checks and all wear uniforms while on the job so that you know only the best is working for you. We also ensure that all of our employees are highly trained. They have a significant amount of experience in residential and corporate moves, so they know how to handle belongings and ensure an all around successful move that is claim-free. We are fully licensed and insured. One of the major concerns initially expressed by potential customers is whether or not their belongings will be taken care of. Our highly trained staff uses the necessary care, tools, and expertise to ensure that your belongings are protected during the move so that they arrive at their destination in the same condition they were at their former location. To achieve this, we start with a complete walk-through so we can learn about what is going and what isn’t. We then protect furniture, railings, stairs, and floors. All furniture is padded in the house and upholstered furniture is shrink wrapped. After everything is loaded, we do another walk-through to ensure that everything is loaded to the customer’s satisfaction. We then move the belongings and repeat the same process at the destination so that everything is unloaded in a satisfactory manner. When you are ready to make the move, you want a moving company that you trust handling the things that you have worked so hard for. 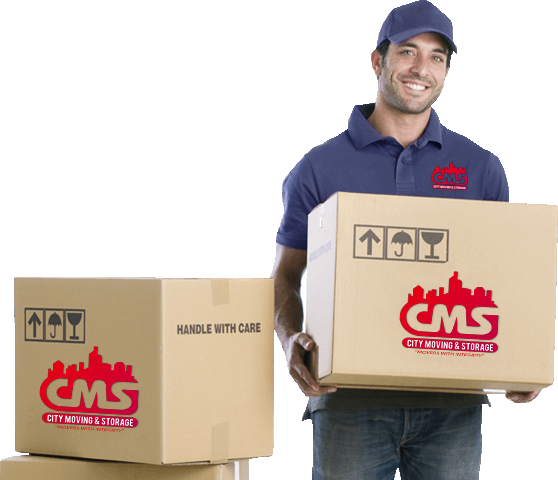 At City Moving & Storage, we have everything you need to help streamline the moving process. To learn more, call us at 612-616-2888 or fill out our free quote form today!